Una Vida Para Cristo: Vehicle Project: Specific Prayer! 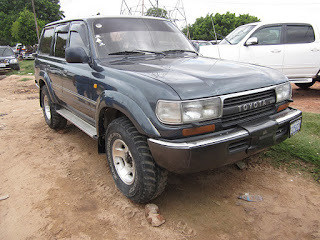 Over the past six months, we have prayed for the funds needed to purchase a vehicle here. We are continually thankful to God as we see Him answer that prayer, and to all of you who have been a vital part of the process as you have prayed and/or given. As we approached 90% of our goal last month, I began to search in earnest. We are still short of our goal, but I believe there is now a more urgent prayer need. Last month I had a few opportunities to look at the car sales in Santa Cruz, another major city in Bolivia. I discovered that I could find similar vehicles there for a few thousand dollars cheaper than here in Cochabamba. I am going there twice more in the next two weeks for other reasons, plan to hit the car sales again, and am praying that I find something to buy on one of these trips. Time and time again over the last few years, we have seen God give specific answers to specific requests. While I am still open to other vehicles (or different options), the following is what I would consider to be the perfect truck for the job, and it should be within reach once we get to 100% of our financial goal. This is what I am praying for. Will you join me?